While this revolution is gaining wide acceptance, The Phenomenal Network, the first blockchain-based affiliate system developed specifically for the affiliate industry has arrived. NB: The current affiliate-marketing model is full of fraud and cheats; the system is not secure and the marketers usually lose their money while trading. Also, the system is slow in terms of the execution of transaction and payments. 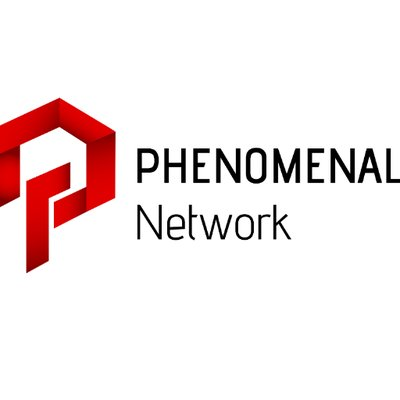 What exactly is PHENOMENAL NETWORK? The Phenomenal Network is the first blockchain-based affiliate system developed specifically for the affiliate industry. The inclusion of blockchain technology provides a very scalable, decentralized and safe system for the absolute elimination of fraud in affiliate marketing. Furthermore, The phenomenal Network platform uses the blockchain technology in affiliate marketing. This makes the ecosystem more scalable, highly profitable, and secure. This platform makes it impossible for the fraudsters, cheats to get into the system, and makes it easy for the networkers and affiliate marketers to receive faster payments than ever. The Phenomenal Network is designed to benefit both networks and advertisers in the affiliate industry. It is here to overcome the shortcomings associated with the traditional processes where ads networks and advertisers often delay payments to the app promoters. The primary goal is to make the web ecosystem more scalable, safer and more profitable. For the first time fraud and cheating are blocked from joining the CPI and CPA partner networks, and in particular, it helps affiliate marketers and networkers receive payment faster than ever. The Phenomenal Network team publishes its own Partnership Forum where all networked and affiliated companies meet in discussions and partnerships. This technology takes advantage of the tremendous potential of numerous subcontracting contracts through smart blockchain smartcontracts. It aggregates subcontracting every single click publishing message in a referral link on the Publisher site, which ensures that each click is monitored individually on the system and is also authentic. This process creates a new and highly innovative fragmentation-based architecture that specifically aims to meet the standards defined by the world market. Phenomenal Network will eliminate the issue of fraudulent traffic and provide a novel and highly efficient ecosystem that can enable affiliate networks o determine when their affiliates are cheating on them. It will achieve this by introducing the best Affiliate Marketing Tracking Software Platforms for affiliate networkers. Current traditional tracking software platforms only offer a partially real-time reporting service for networkers with a friendly and easy-to-use interface, their weakness is not create a platform including detecting fraudulent traffic. With blockchain-powered technology and optimization tools, Phenomenal will introduce an option that is absolutely superior to those of current competitor. With current blockchain technologies, it is quite impossible to obtain our anticipated performance of million transactions per second in a cost-effective manner. This is probably the major reasons why other projects opt to conduct their affiliate outside the blockchain technology. Affiliate marketing is unique and quite different from other forms of digital marketing. For instance, the industry requires private settings for all participants. But this objective cannot be achieved completely without blockchain technology. Thus, Phenomenal Network aims to proffer solutions to these challenges by integrating blockchain functionalities into the operations. .
Current affiliate marketing has always been associated with third party operational risk. The Phenomenal Network is specially designed to eliminate this 10 requirement, irrespective of the network’s size or proposition. Thus, the successful implementation of our blockchain ecosystem will help us to get rid of decision that is not in the user’s interest. Our block chain technology will also ensure lower cost of operation without compromising the quality of business operation. Indeed, the implementation of our Phenomenal Network will help in the elimination of all the major problems that are currently confronting the affiliate marketing. The Phenomenal Network proposition applies blockchain technology to Affiliate Marketing with the primary objective of making the network ecosystem more scalable, secure and highly profitable.For the first time ever, fraudsters and cheat will be prevented from joining CPI and CPA affiliate networks and especially it helps affiliate marketers and networkers to get payment faster than ever. Within the Ecosystem, Golden Affiliate Reward is supposed to be the real gold mine that qualified promotors can get what they have been desiring, a real and fast payment. Especially to be rewarded and honored for showing a great performance.Golden Affiliate Reward is a real motivation for a hard work and honesty in term of providing visitors to a campaign or an app. This also seems a threat for cheaters, where they can not be listed as a qualify. The architecture of the Phenomenal Network is able to identify clicks that are not authentic. The functionality is available to both the bock validation layer and the client. At the level of the client, the system scrutinizes the features that enable sharing and subsequent identification of the main source of traffic in the system. This platform is able to defend against the clicks that come from bad actors. This community will be able to deliver real-time data and will have other features that will help in the detection and prevention of click fraud. Machine learning principles will be used to develop models that can detect and classify click fraud. The platform is able to identify and reduce the surface attacks. Every account that will be used to transact on the platform will be connected to a specific domain. This will enable the authentication of events when the ads are requested and delivered. The PN tokens here are tied directly to the underlying assets with the unique liquidation that is found in the smart contract. This makes sure that the price of the token never falls below the share of tokens underlying assets. Once you pass the whitelist then you will have an ERC20 wallet to send the contribution. A half of fund raised will be used for developing Phenomena Network and its products. One fourth (1/4) will be used for marketing and community building. The most dedicated to legal, event operation, and reserves. The use of sharding to make millions of transactions per second. Improve the security and scalability of the ecosystem. Immediate and accurate notification of both fraudulent traffic and quality. AD networks are secure and extensible for all categories of affiliates. Simple and easy to sign up for merchants and affiliate merchants.